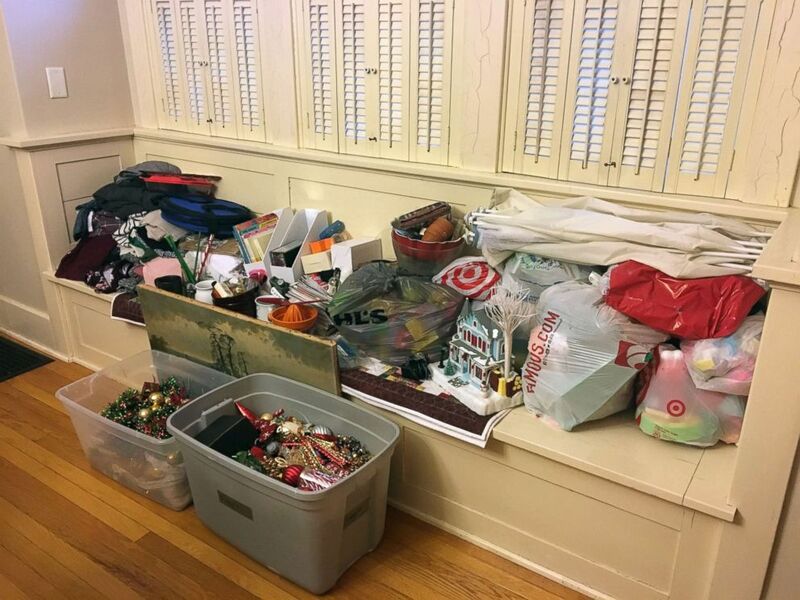 I pledged to get rid of 496 things from my home in January. Here is what happened. Best friends Lynne Hilton and Jenni DeWitt used texts for accountability. 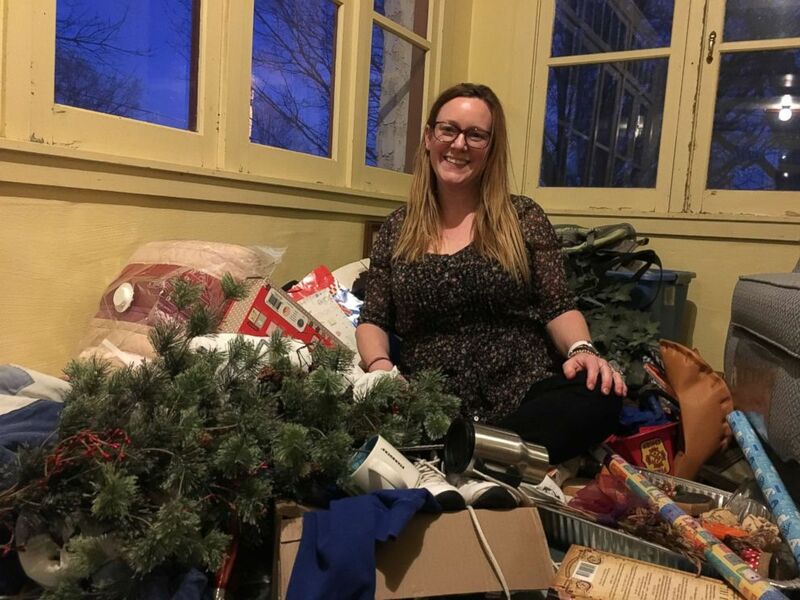 Lynne Hilton and Jenni DeWitt committed to de-cluttering their homes in 2019. 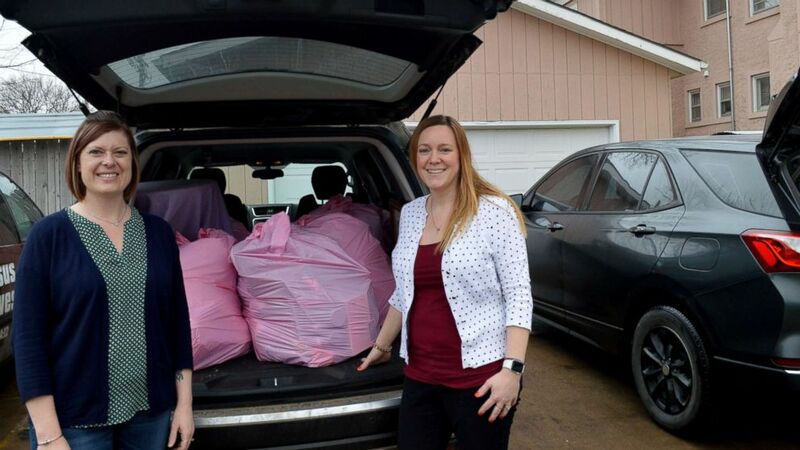 The best friends, who both live in Nebraska, took on a challenge together in the month of January. (Lynne Hilton/Jenni DeWitt) Lynne Hilton, left, and Jenni DeWitt prepare to donate items from their homes. 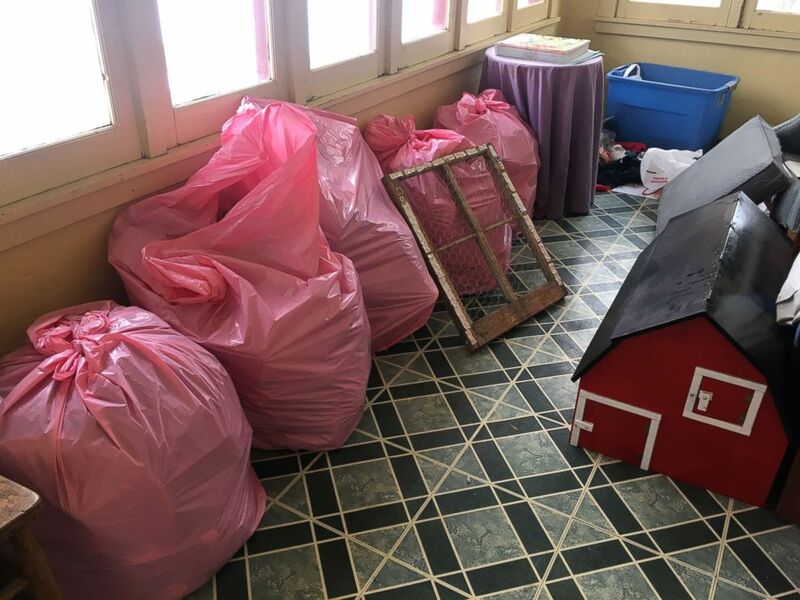 Each day they had to get rid of the same number of items as the day of the month, so one item on Jan. 1, two items on Jan. 2 and so on, all the way through Jan. 31. 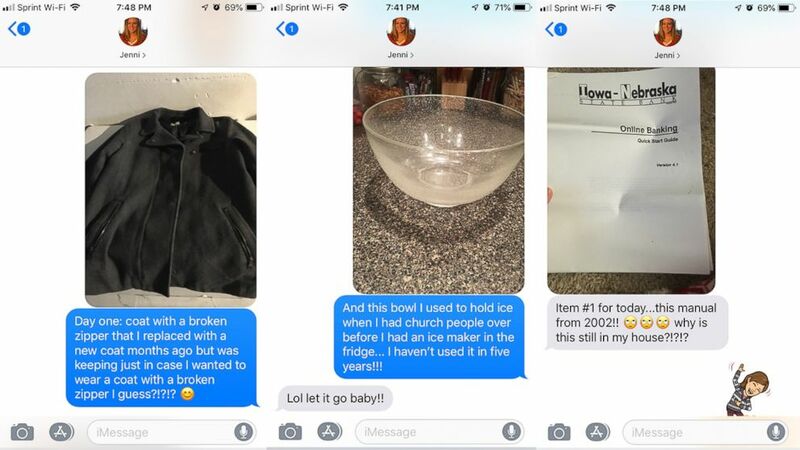 Hilton and DeWitt held each other accountable by texting each other photos of the items they chose to get rid of from their homes. 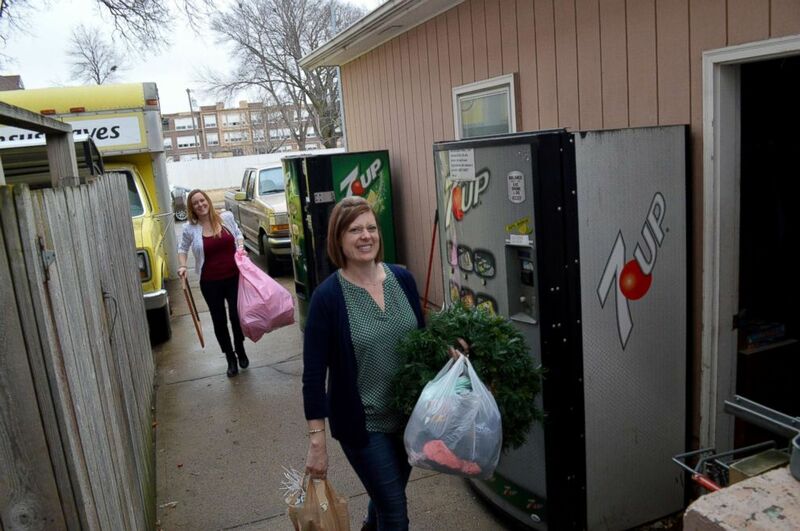 At the end of the month, Hilton and DeWitt donated over 1,000 items to a local charity that helps the homeless. (Lynne Hilton/Jenni DeWitt) Lynne Hilton, right, and Jenni DeWitt prepare to donate items from their homes. Here the two friends each explain, in their own words, what helped them succeed and what they learned. For me, the key to really growing from this minimalist challenge came in texting Lynne. (Courtesy Lynne Hilton/Jenni DeWitt ) Lynne Hilton and Jenni DeWitt, best friends who live in Nebraska, text each other the items they are giving away in January. Thinking through the reasons I kept something and why I was letting it go, I realized a lot of times it was more about letting go of an idea I had about myself than the physical item itself. For example, the 360 pages of scrapbook paper represented an idea that some day I might be the kind of person who remembers to print off pictures and turn them into beautiful memory books. The truth is, I don’t have the patience or the time at the moment, so I had to let go of that idea about myself so I could let go of the scrapbook paper. (Courtesy Lynne Hilton/Jenni DeWitt ) Jenni DeWitt sits among items she is sorting through in her Nebraska home. While the minimalist challenge helped me be more mindful of what I keep in my home, it also has caused me to think twice before I bring something new into it too. Instead of just buying the set of metal bowls I wanted, I first asked myself where I would store them in my kitchen. When I pictured my cabinets, I realized I already had two sets of large bowls and decided to get rid of one of those sets to make room for the new ones. (Lynne Hilton/Jenni DeWitt) Jenni DeWitt's collection of belongings to donate at the end of the month. After all this purging and self-reflection, it’s nice to feel like the items in my house reflect who I am and what brings me joy. Now that we reached the end of the challenge, I’m surprised by how many items I was able to let go of. I lived a decently minimalist life prior to this challenge. I hadn’t scaled down to one pair of jeans or anything, but I certainly wasn’t afraid of a good de-clutter. I wondered if I even could find 496 things to get rid of (the total if we stuck to the challenge every day). But I ended up getting rid of 511 things! Even though my home looks fairly clutter-free, I was surprised by how much clutter was still hanging out in the nooks and crannies. 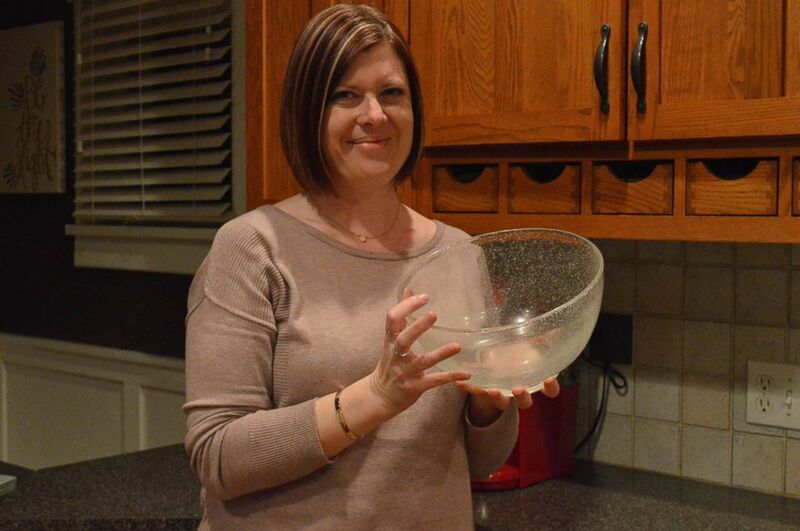 (Courtesy Lynne Hilton/Jenni DeWitt ) Lynne Hilton, of Nebraska, holds a bowl she plans to donate. Like Jenni, letting go of items that were connected to some little “identity” I wanted to form was the hardest part. Even though these were just little identities and hardly life-changing, I did feel like a part of my energy was “freed up” when I let these items and identities go. (Lynne Hilton/Jenni DeWitt) Lynne Hilton's collection of belongings to donate at the end of the month. Finally, I realized that all the “useful” items I was keeping around weren’t really useful if I wasn’t using them: spices for one-off recipes that I didn’t make again; CFL lightbulbs (we use LEDs); Lotion and hand soap and other bath products I thought I would eventually use up. Through this challenge I finally realized that if I haven’t used it yet, I’m probably never going to use it, and I should give it away to someone else who could.